Is Swearing Ever Acceptable in Business when Speaking to Clients? Last week I attended the Recruitment Expo, which is a little bit like a day of CPD together with trade stands. One of the seminars was delivered by a very well-known recruitment trainer and someone highly respected within the business, particularly for his headhunting courses. As part of his quick 20 minute presentation, this trainer was giving 20 objections and how to overcome them. (i.e. when clients are prevaricating before agreeing to either speak to you or take on a member of staff through you as a recruiter). A couple of times in the first 10 minutes he used fairly mild swear words as part of his presentation. These didn’t seem to be out of place per say although they did make me consciously aware that he had just sworn to his audience. However, when he got to his point about clients phoning and giving out vacancies he used the phrase "Well F**k Me", not once but twice. He then went on to use the “F” word at least twice more. I should say that when it comes to swearing I am not exactly an angel myself! What made this so unusual was the setting in which the trainer had decided it was appropriate to use such strong language. He was speaking to a room of virtually complete strangers, some of whom are high level HR Directors and recruiters working for multi-nationals as well as owner managers of smaller recruitment agencies such as myself. He had no idea who anyone in the room was or what their sensitivities were for use of this strong language. I sensed that he wanted to use the language to almost stun his audience into waking up or listening more closely or to simply shock us into action. Even when you find them the perfect candidate (having achieved the impossible) the firm will then decide they don’t wish to recruit because the whole thing was an exercise being run to see what would happen if they did decide to recruit. However, personally I felt there was no need to use such strong language and although it does not offend me if somebody uses words like that, it made me feel very uncomfortable in that particular setting. I was fascinated by what the trainer had to say and a colleague from my company went on one of this chap's headhunting courses many years ago and came back armed with lots of CDs and extras which I spent time listening to and found very useful. However I would hesitate before booking onto one of his courses again because I thought it undermined his professionalism to use this type of language in that type of setting. Whilst I would expect that type of language if I was playing cricket with a group of blokes in the changing rooms and after a match where we had just been slaughtered, I would not expect it as an owner manager and director of my own business sat in a room with lots of other similar people. I thought to a certain extent it showed a lack of respect for me and the remainder of the audience and I was not impressed to say the least. So the question is, is it ever appropriate or acceptable to swear to a client or on a course? I lectured at Huddersfield University for about 5 years, giving LPC students advice on CVs and interview technique. In that time I don’t think I ever swore once and I think if I had sworn I would have felt mortified afterwards. It simply would not have felt appropriate to swear whilst giving a course. If I was being employed as a professional to deliver certain advice to students and it’s almost felt like a badge of honour to be doing this in a professional capacity as a non-practising solicitor. I suspect that the students I was delivering my advice to would have found my advice reminished if I had used strong language as part of my presentation. I used to work as a criminal defence solicitor (when pay was just appalling rather than impossible to live on). The clients regularly sat and went through a pack of cigarettes in my presence, peppering their language with very strong “F” and “C” words every other word and I rarely felt uncomfortable with them doing this because I accepted it was part of their language and the setting we were in. Afterall if I was facing 14 years in prison for armed robbery I would probably want to smoke a pack of cigarettes and swear every other word myself. However I don’t think I ever swore to a client because I felt (and still do feel) that if I had done this I would have been considered less of a lawyer in their eyes. They hadn’t come to me for advice because I was a friendly person who was on the same wave length as them and could get down with the boys and use as much bad language as they did, they came to see me because I was a qualified professional and respected member of society (regardless of what politicians try to paint as an alternative picture of solicitors). The same applies when I work as a recruitment consultant. If I know a candidate well then my language may be slightly less formal, but for everyone else I deal with I try to have the same level of professionalism that I did as a solicitor. I could only see one circumstance when it would be acceptable to swear and that would be when quoting someone else or to get over a particular point in a story. Personally I cannot see any other reason why you would want to use such strong language either with client or with professionals on a training course. You may beg to differ with this and I would welcome any comments. I have also put a link to this article on our Facebook and Linked In pages where you can add your own comments and thoughts. Jonathan Fagan is Managing Director of Ten-Percent Legal Recruitment and regularly writes the LegalRecruitment blog, an award-winning selection of articles and features on legal recruitment and the legal profession. You can contact Jonathan at cv@ten-percent.co.uk or visit one of our websites. Interviews have got a lot tougher in recent times – reports of honest feedback being given (‘candidate was useless and just mumbled’ or ‘candidate was completely over the top and needs to calm down’) means that employers are being much more selective as to whom they invest in and employ. Here are our top 10 interview questions for 2013 - try them out if you are a law firm and as a candidate get ready for them! I was at a training course last week where the trainer basically stated that anyone who claims their business was affected by the recession has only themselves to blame. Not entirely sure how - after all it was a little unexpected to say the least - and if that mentality is starting to show, then it is likely it will also affect recruitment as well. Outline ‘quantitive easing’ in 20 seconds. I see you have moved about a bit. Does nobody like you? Why were you made redundant in 2007? Have you used the recession as an excuse for your own poor performance? Why hasn’t your billing increased in the last 2-3 years? How do we know you will not just take a better job in 6 months? What is your ideal job and how do we differ from it? What steps have you taken to reduce your own exposure to credit? Have you paid your mortgage off yet? Why not? What would be a good hourly rate/annual salary for you at this stage in your career? What about in 3 years time? 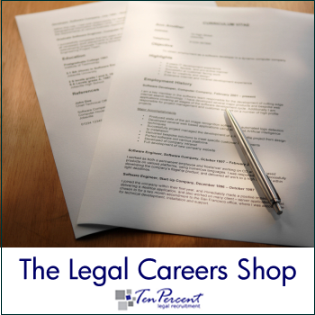 For 300 legal job interview questions for law firms please email me – jbfagan@ten-percent.co.uk and I will send you them over in pdf format by return. Jonathan Fagan is MD of Ten-Percent Legal Recruitment - Online Legal Recruitment for Solicitors, Legal Executives, Fee Earners, Support Staff, Managers and Paralegals. Visit our Website to search or download our Vacancy Database or view our Candidate Database online.